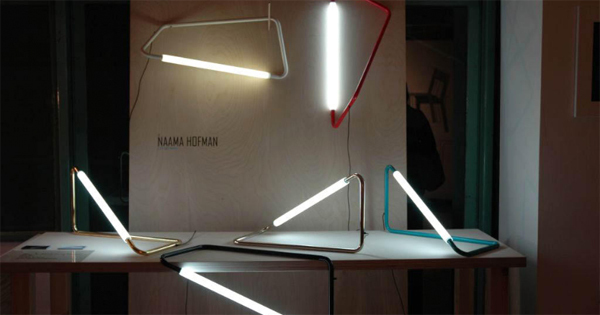 Industrial designer Naama Hofman has developed a series of light objects that rethink the way we use LEDs. 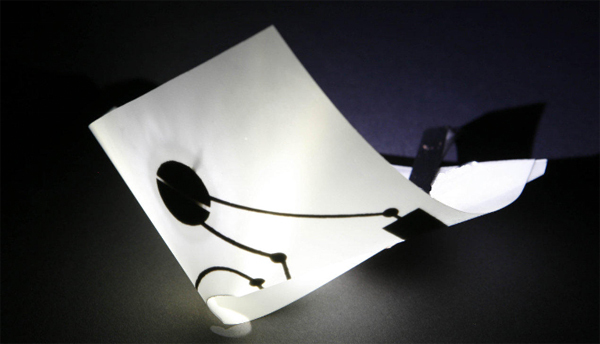 Light Object 001 - "A light fixture made of a bended metal rod with LED illumination"
Light Object A06 - "A squared flexible sheet on which an electronic circuit is printed. When the square folds into itself creating a conic shape, the circuit is closed and the LED illuminates. The smaller the cone gets the stronger the light is."